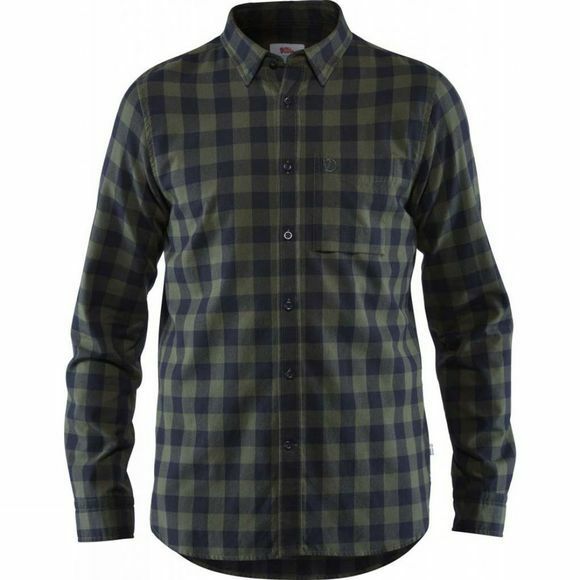 The Men's Övik Check Long Sleeve Shirt from Fjällräven is a comfortable, long-sleeved shirt in robust cotton fabric with a timeless check pattern. Classic model that is just as suitable for work as it is for easy outdoor life after hours. Collar with a hidden button-down function.